This stylish hotel lies in a quiet side street in Berlin’s elegant Charlottenburg district. Hotel-Pension Ariane am Kurfürstendamm is 100 metres from Savignyplatz Square and a 3-minute walk from the KuDamm shopping street. 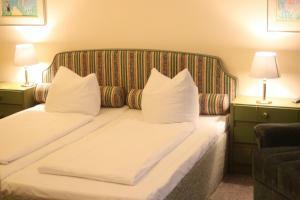 Hotel-Pension Ariane am Kurfürstendamm features colourful rooms with design interiors. 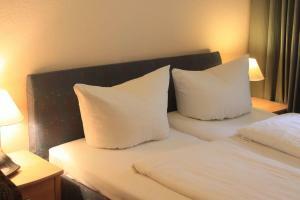 The recently-modernised, non-smoking rooms all include cable TV, a sofa and a private bathroom. 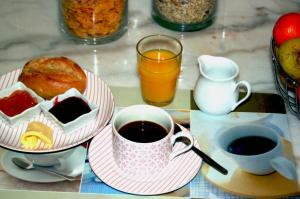 Wi-Fi is available in the breakfast area as well as in all rooms. Savignyplatz S-Bahn Train Station is a 4-minute walk from Hotel-Pension Ariane am Kurfürstendamm. This offers a direct connection to Berlin Main Station, the Hackescher Markt entertainment district and Alexanderplatz Square. 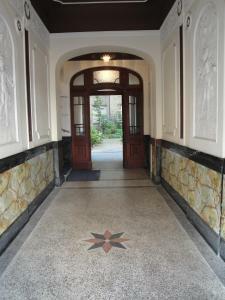 Hotel-Pension Ariane am Kurfürstendamm is a 15-minute walk from the world-famous KaDeWe department store, the Kaiser-Wilhelm Memorial Church and Berlin Zoo. On-site parking is available for an extra fee.